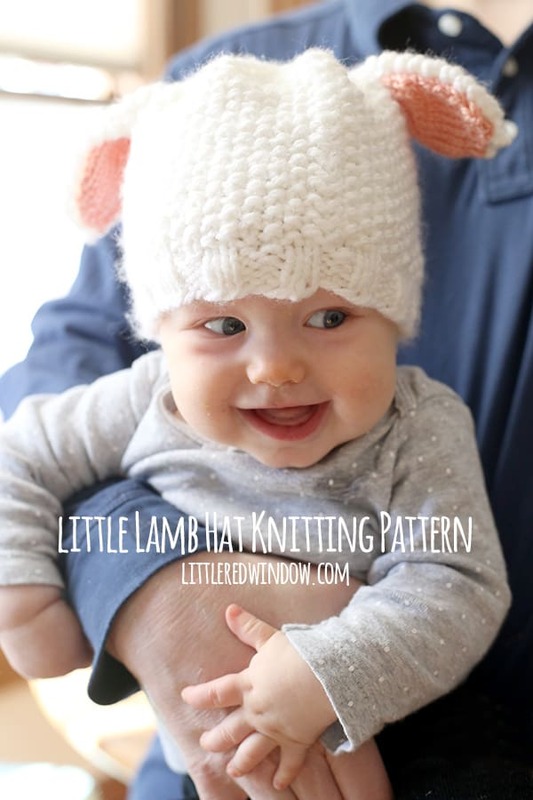 Knit a sweet little lamb hat with great texture with this adorable knitting pattern! 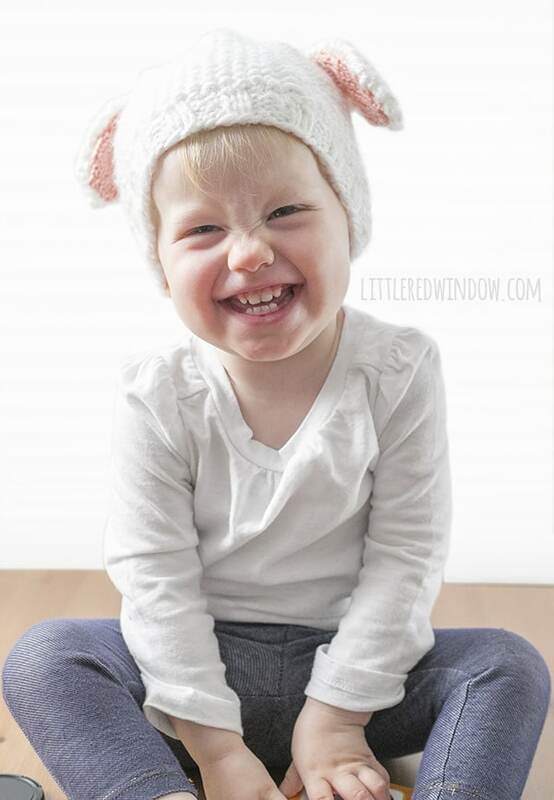 You guys, I love the seed stitch texture of this hat, it’s just so darn soft and cute! 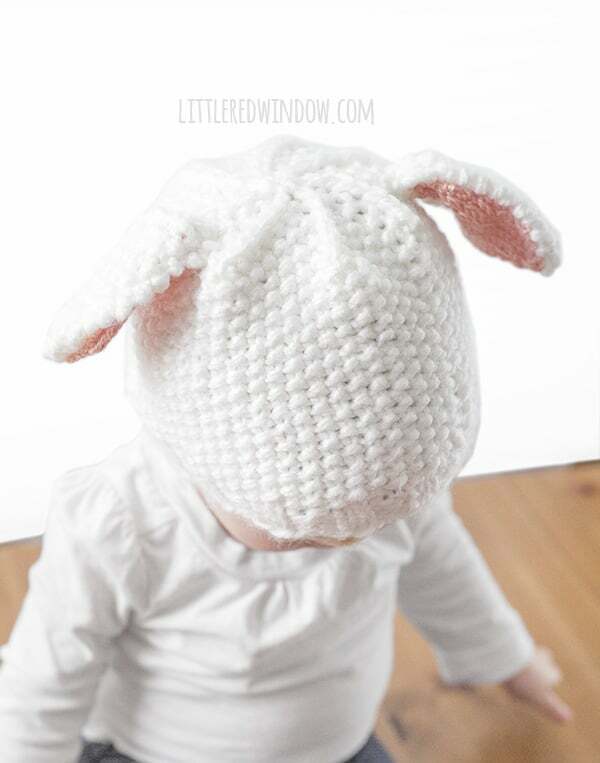 And what’s more adorable than a little baby lamb hat?! 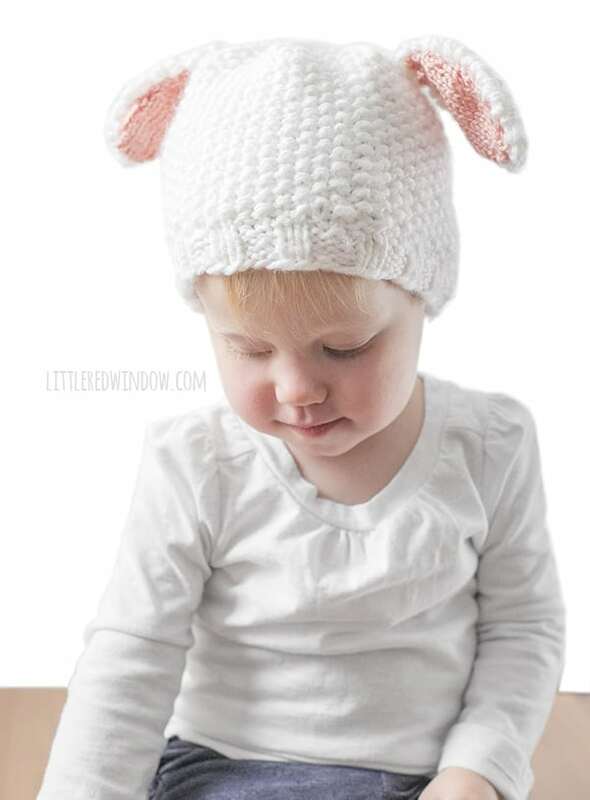 I actually made this hat a little after Easter when there were lambs and chicks all over the place. I used a thicker yarn but the same size needles I usually do and the result is a really dense soft texture that will be nice and warm and should do a good job of keeping a little bald head warm! 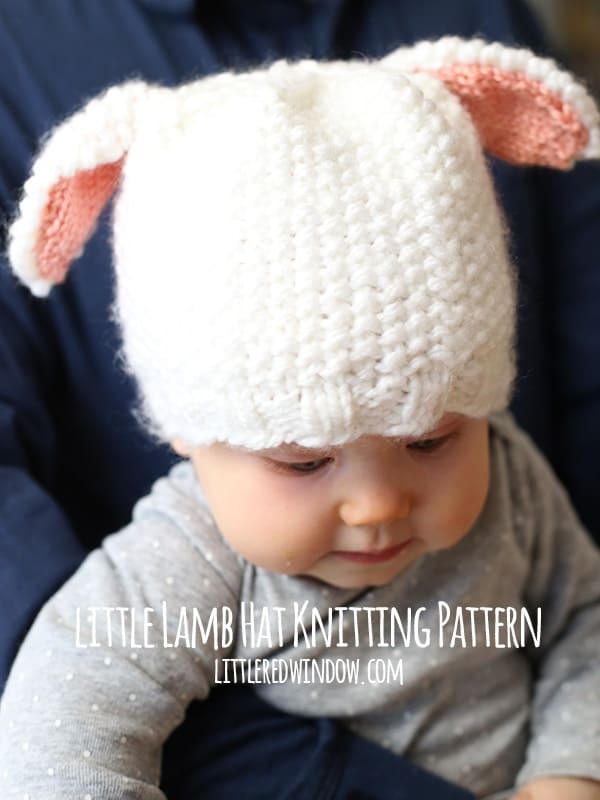 If you knit a lamb hat yourself, please please share it with me over on Ravelry, I love seeing what you all create! 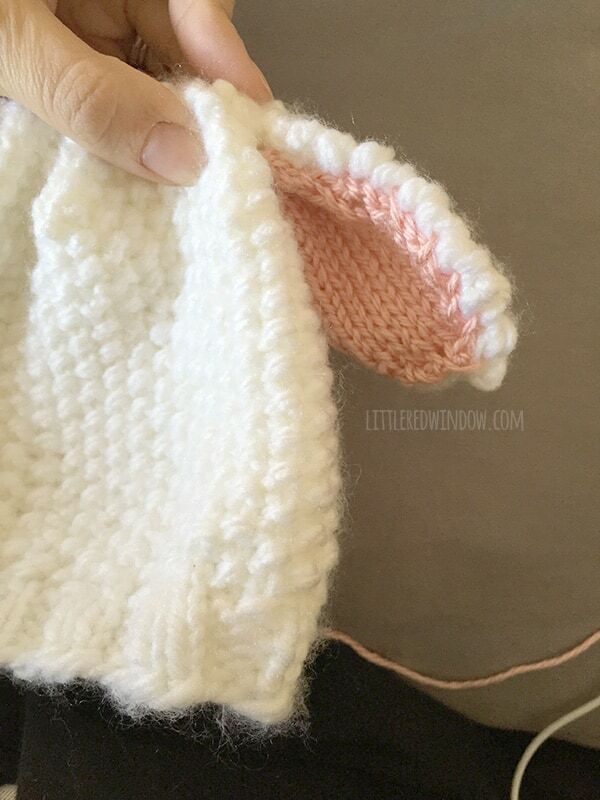 Using long-tail cast on, cast on 64 stitches onto your circular needles with the white yarn. Join to knit in the round and knit 2 stitches, purl 2 stitches in a rib stitch for 5 rounds. Row 1: k1, p1 repeat until end of round. Row 2: p1, k1 repeat until end of round. Repeat rows 1 & 2 (seed stitch) until the hat is about 5 inches long, end after a p1, k1 row. Row 1: (k1, p1, k1, p1, k1, p1, k2tog) repeat 7 more times until the end of the round. Row 2: (p1, k1, p1, k1, p1, k2tog) repeat 7 more times until the end of the round. Needle 1: (k1, p1, k1, p1, k2tog), repeat two more times. Needle 2: (k1, p1, k1, p1, k2tog) , repeat two more time. 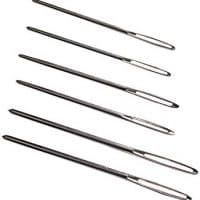 Needle 3: (k1, p1, k1, p1, k2tog) , repeat one more time. Row 4: (p1, k1, p1, k2tog) repeat 7 more times until the end of the round. Row 5: (k1, p1, k2tog) repeat 7 more times until the end of the round. Row 6: (p1, k2tog) repeat 7 more times until the end of the round. Row 7: k2tog 8 times until the end of the round. 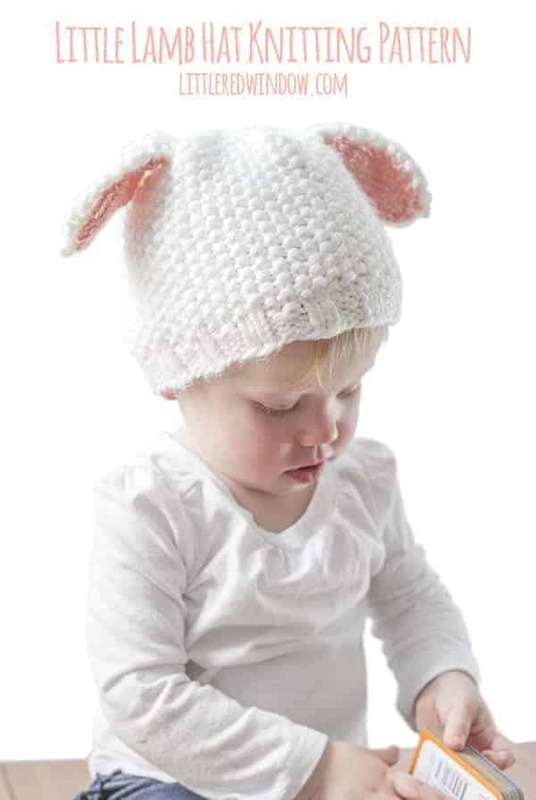 Using either the double pointed or circular needles as straight needles, cast on 5 stitches with the WHITE yarn, leave a long tail to sew the ear to the hat . Cut yarn, pull end through loop and weave in that end. Note: the pink yarn is a much lighter weight than the white so even though you’re casting on more stitches, the finished ear lining should still be SMALLER than the white outer ears. 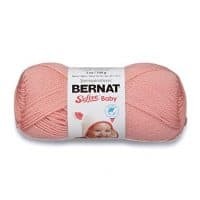 Using either the double pointed or circular needles as straight needles, cast on 7 stitches with the PINK yarn, leave a long tail to sew the lining to the outer ear. First put the ears together. Lay one pink ear lining wrong side down on top of a white outer ear. Note the outer ears don’t really have a right or wrong side. 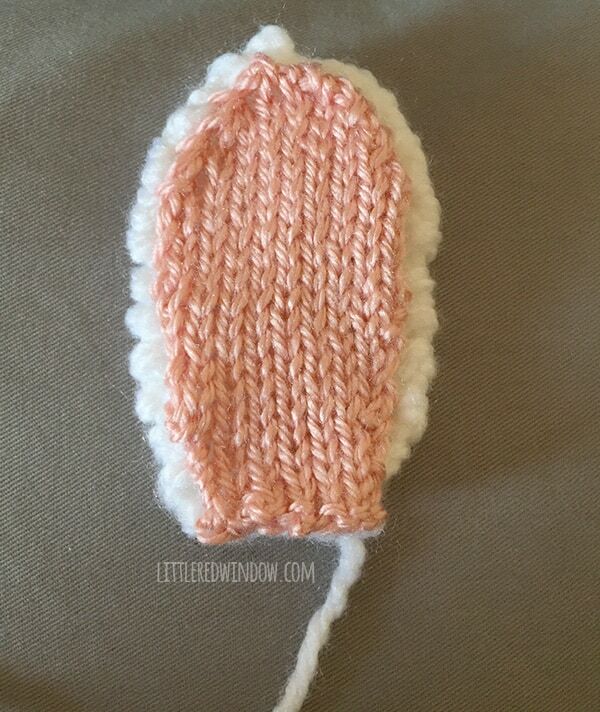 Use the long cast on tail of one pink ear lining to whipstitch that ear lining to one white outer ear. Be sure your stitches don’t show through to the other side of the white outer ear. The pink ear lining should be slightly smaller than the white outer ear. Knot and weave in the end of the pink yarn when you’re finished. Repeat with the other ear. 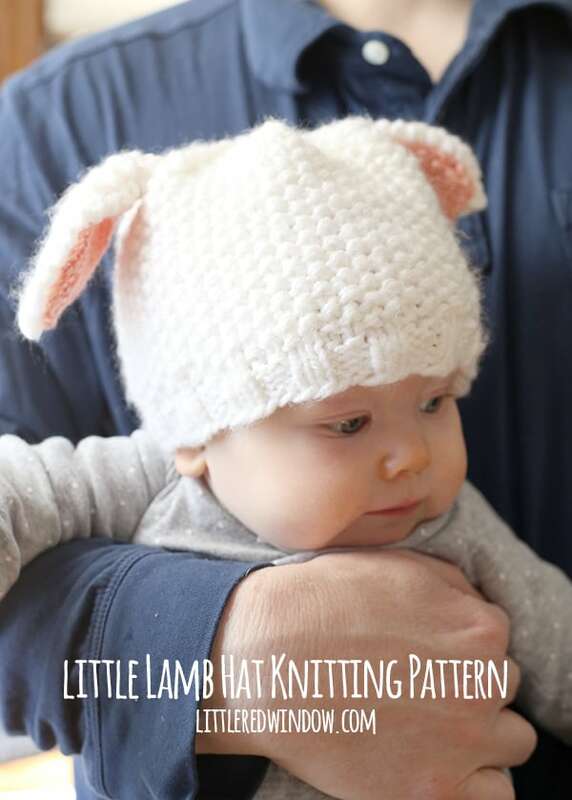 To attach the ears to the lamb hat, pinch them a bit at the base and use the long white cast-on tail to stitch each ear to the hat. They should be facing down and a little forward like a lamb. Make sure to attach them securely, babies pull things! And that’s it! 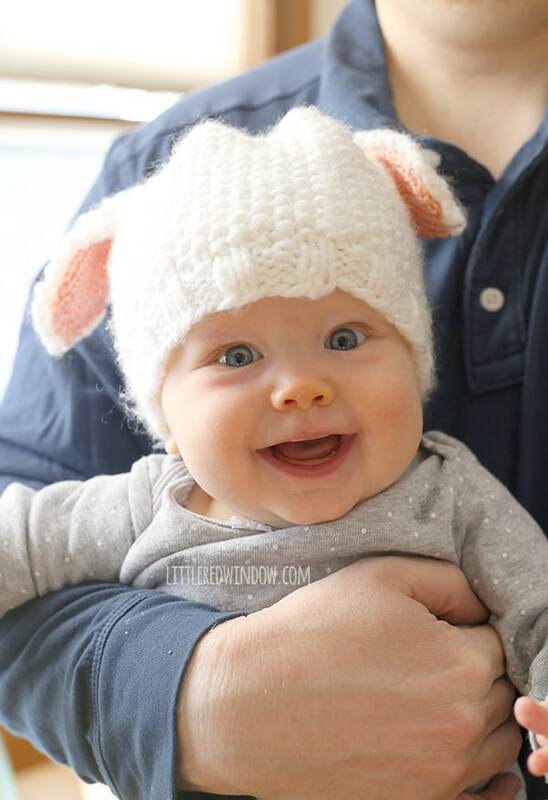 Enjoy your adorable little lamb hat! 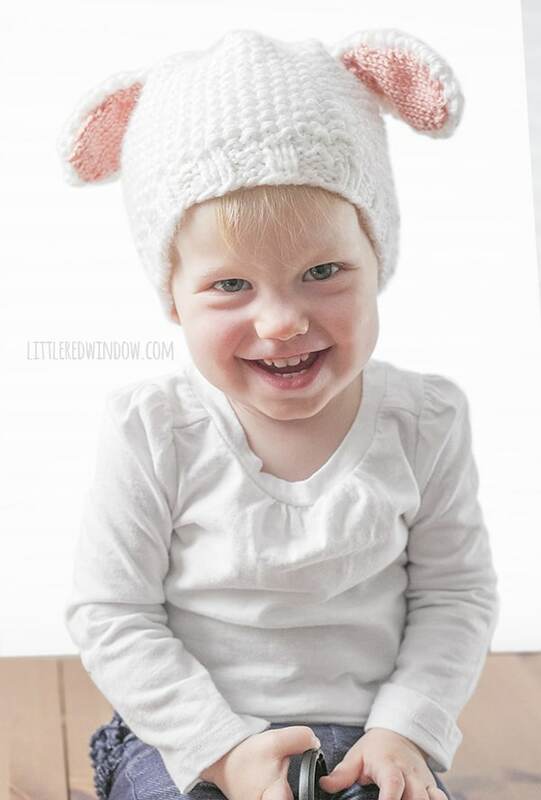 This adorable Little Lamb Hat knitting pattern is one of our most popular and is so cute knit in soft squishy seed stitch! 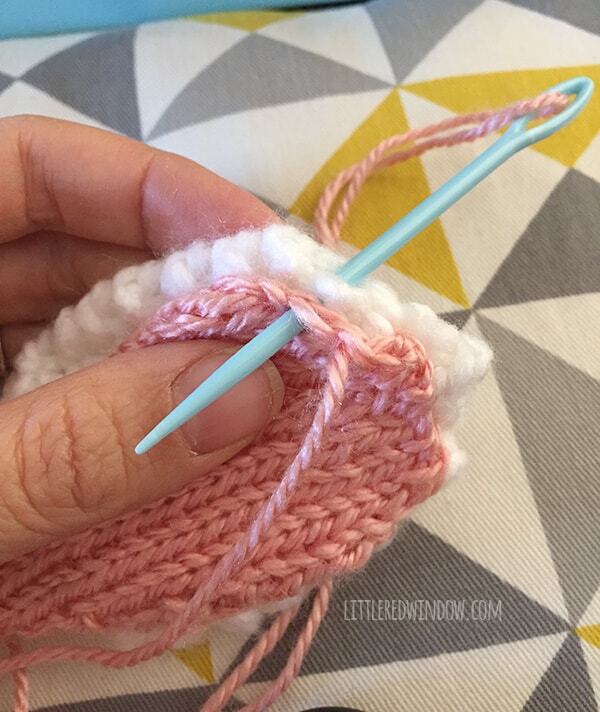 How many rows do you knit for the gauges? 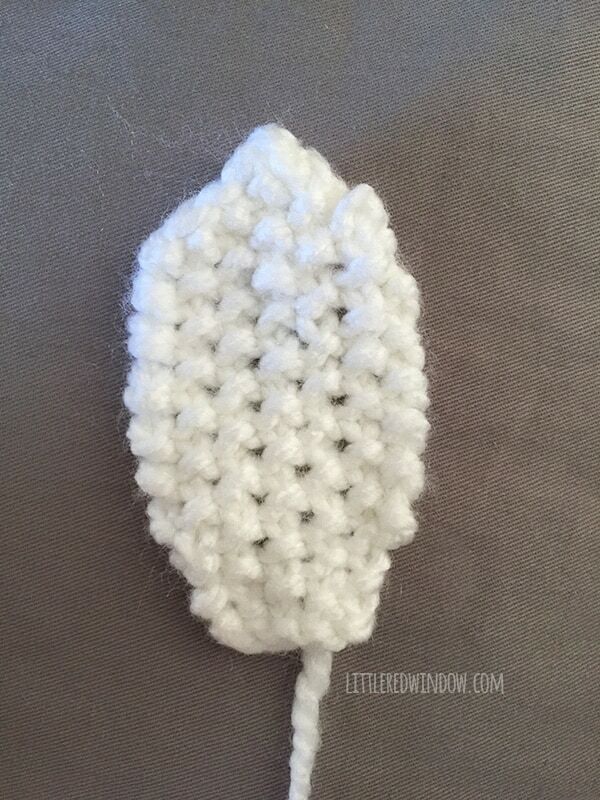 You will need an odd number of stitches to do the seed stitch. 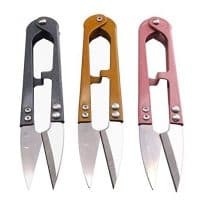 Hi can I use straight needles. No, I’m sorry, the pattern is written to be knit in the round. I’m knetting the 0-3 size but for the ear lining there is only one size. And to me it it looks a bit to big. Is this correct? You could try knitting them with smaller needles and see if that helps! The lining should be the same size or slightly smaller than the outer ears. Hope that helps!! Kristin, I thought so, too. I revised the ear pattern so that the pink nestled inside the white ear. Truly LOVE this little cap! Lovely pattern…thanks so much…and FABULOUS photos!! Im quite new to knitting and haven’t quite got the hang of using a circular needle, can this pattern be done on straight needles? 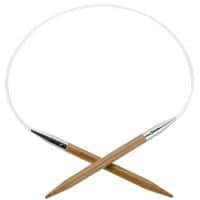 Can I ask some advice reference circular needles? When you say 16″, is that the length of the cable or the length of cable & needles combined. 16″ is the length of the cable! 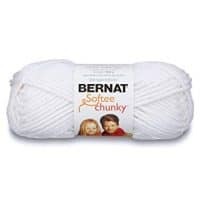 They will be labeled that way at the store or if you can find a local yarn store, they will help you! Happy knitting! Oh my goodness, that is so darn cute! Thank you so much for sharing your pattern!